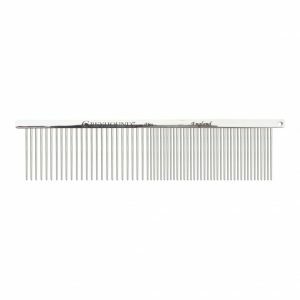 The Greyhound Bambi comb has a combination of medium and fine teeth. It is suitable for using around the face area, and is ideal for cats and small dogs. The Greyhound Beast Candy comb has a combination of extra coarse and fine teeth. It is ideal for fluffing up the coat on long haired breeds. The Greyhound Beast Candy long tooth comb has a combination of extra coarse and fine teeth. It is ideal for fluffing up the coat on long haired breeds. The Greyhound Beauty Candy comb is suitable for most coated breeds of dog and cat. It has a combination of medium coarse and fine teeth. 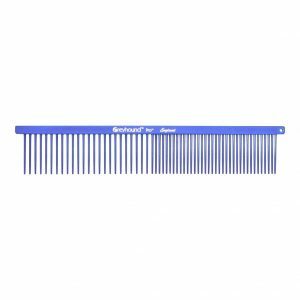 The Greyhound Beauty Two Tones comb has a combination of medium coarse and fine teeth. The comb is two colour tones, each complementing the other. 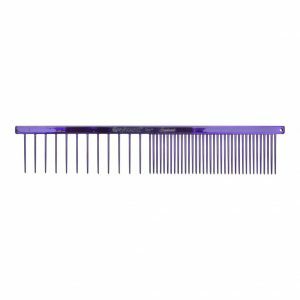 The Greyhound Beauty Velvet comb has a matt colour finish. It has a combination of medium coarse and fine teeth.